”I asked my Facebook-friends and collected some money that we used to buy food and clothes for. Together with my dad Kjell we then distributed this to 25 of the most vulnerable families in the area. In one of the families we visited, there were two boys, one nine and one twelve years old. They had no relatives, and the oldest boy was the head of the family. My dad and I looked at eachother and said: We have to do something! Later that day we asked people in the area about this situation. And we soon realized that this was nothing unusual, there are many children who are living alone. A couple of days later we met som people from Star for Life, and started to discuss how you can provide theese children with the most basic things – food and adult support. I strongly recommend everybody to go to South Africa and discover the reality with your own eyes. And take your time. If you do that, you will discover a more nuanced picture of Africa. It´s not only disaster and hopelessness – there are so much joy, good spirit and will to create a new and better life. The Jakobsson-family will of course be working with this project. Also involved is Anders Svensson, who is responsible for the communication between sponsors and the families in South Africa. Anders has been working with media in all his life as a journalist, managing director and editor-in-chief for Mediehouses in Sweden. Anders Svensson is also responsible for the contribution. Star for Life will be responsible for the organisation down in South Africa. Their knowledge and experience is the best gaurantee for the success of the project. 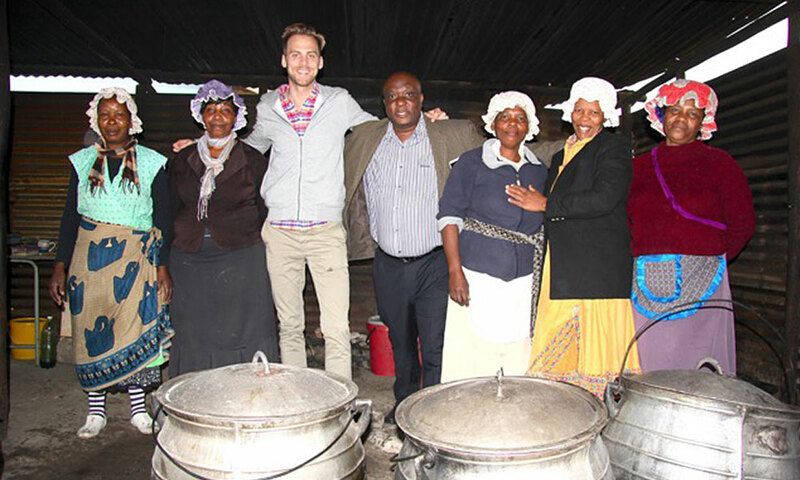 The idea of the project is that all the contribution will go to the families in South Africa. The swedish organisation is working ideally, and any expenses that occur in Sweden will be taken care of by the Jakobsson-family. In South Africa the expenses is covered by the contributions from the sponsors. It is basically the food to the families and the cost for our hired DPC (Dandelion Project Coach). Also here the Jakobson-family is a guarantee for the expenses. Every year we will present an anual report and a budget. As a sponsor you can always have a economic report if you want to. All the contributions is going to Star for Lifes swedish 90-account, where they automatically transfers to our project. This saves money, and also makes the economic transactions smooth and safe. If the idea of direct commitment between the sponsor and the children shall work, the communication is a key success factor. What we want to achieve is a working relationship that hopefully will last for a long time. It´s not only a strict report that should go back and forth, it´s also important to give the children a true feeling of support even if the distance is long between the sponsor and the child. All the vulnerable children are lacking both electricity and computers in their homes. But our schools have computers and internet-connection, and thats the way we think our communication will work.